Shrimp is delicious, nutritious and versatile. There are countless recipes to cook it. You can sauté, roast, grill and bake it. What’s more? Shrimp is very easy to cook. You don’t need more than 10 minutes to cook it. 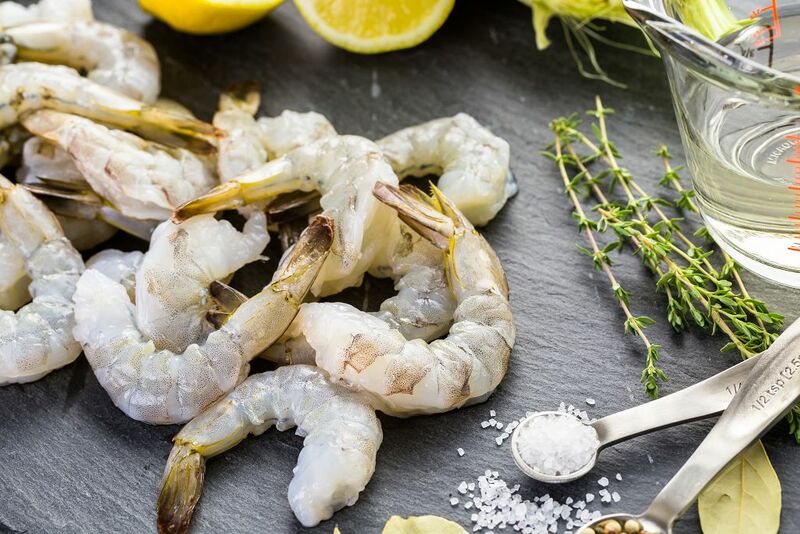 It’s not surprising that shrimp is one popular type of seafood. I won’t be surprised if you have one right now in the fridge. As such, there will always be times when you have leftover shrimp dishes. Do you know how to reheat shrimp? If not yet, that’s fine. I’m here to share with you how to reheat already cooked shrimp. Then you will still be able to consume it. Do you have a microwave oven at home? Great! You will need that to reheat shrimp. Place the leftover shrimp in a microwavable serving dish. Cover it with a lid and place in the microwave oven. Turn the latter on for 1-2 minutes. That’s it— you can now eat the shrimp. If you don’t have a microwave oven at home, that’s fine. You can still reheat shrimp by steaming it. For this task, you should have a steamer. Place the shrimp in a single layer on the steamer. Doing so would ensure that the shrimp will be heated quickly and evenly. This also prevents the shrimp from becoming soggy. 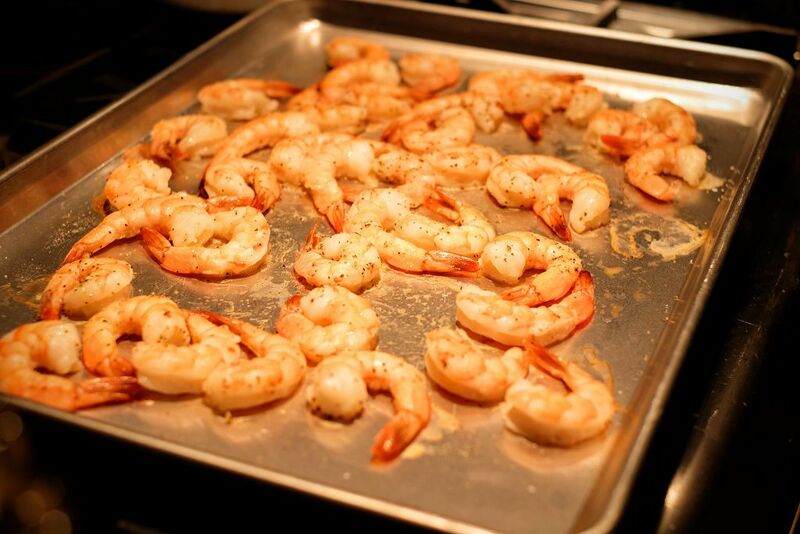 After 2-3 minutes, take the shrimp out of the steamer. Let it cool for another minute or so. You can also squeeze a slice of lime or lemon on it before you serve it. I also like to dip it in melted butter. Reheating cooked shrimp with the steamer works for all types of shrimp recipes except for breaded shrimp. I don’t really suggest you steam breaded shrimp because the breading will be soggy afterward. And I tell you— it isn’t pretty and flavorful at all. The two previous techniques are so simple that even your 7-year old kid can do it. But those techniques are ideal for people in a rush, like when you wake up late in the morning and you need to come up with a quick breakfast. 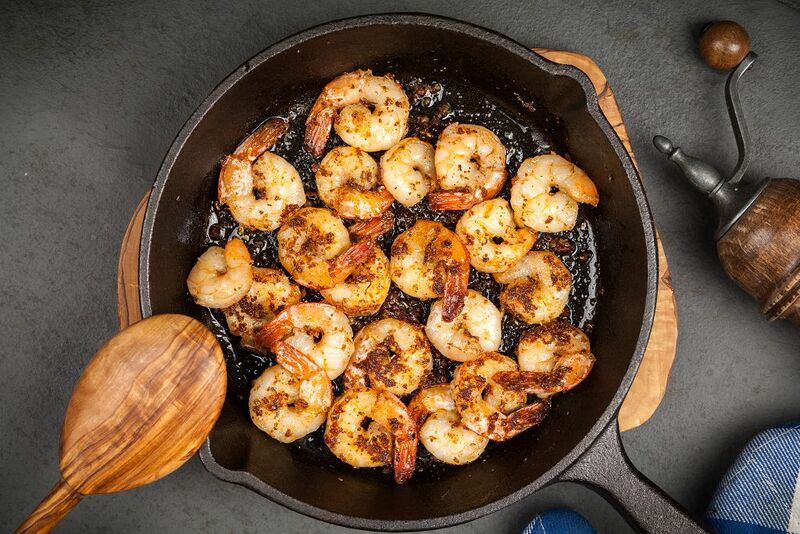 If you have more time in your hands, you can reheat shrimp in the skillet. You start by placing the skillet on medium heat. Sprinkle cooking oil lightly. There should be just enough oil to cover the entire portion. You can also use olive oil or even a slice of butter instead of cooking oil. 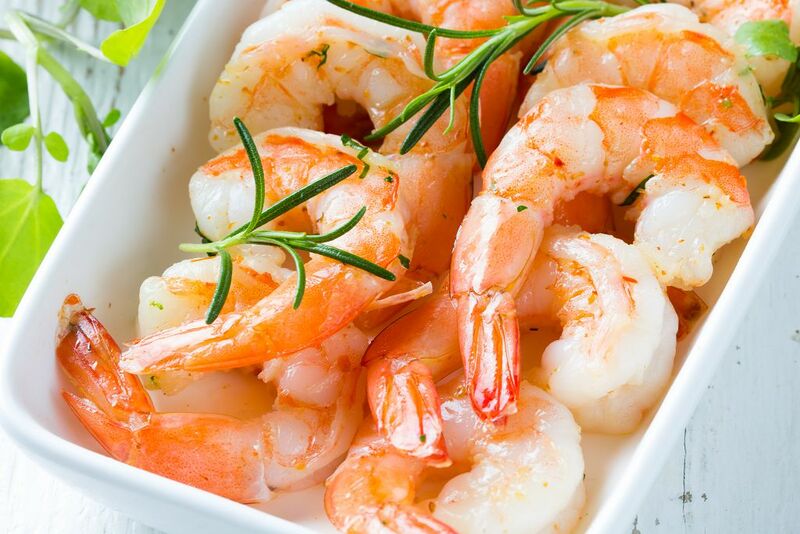 Both olive oil and butter can give already cooked shrimp a more flavorful taste. After 2-3 minutes, the oil should turn hot. Put the shrimps and stir occasionally. You need to evenly heat the shrimp. It is also possible to sauté the shrimp with other vegetables like carrots and celery. After heating the oil in the skillet, add garlic and onions. Stir occasionally for 2-3 minutes. Once the garlic has turned golden brown in color, add the carrots, celery and snow peas. Sautee the vegetables for 5 to 6 minutes or until they soften. Then add the shrimp, cook it with the veggies for 2-3 minutes, and voila! You can now serve sautéed shrimp. The shrimp should have been completely thawed before reheated. If not, you will end up with shrimp that is hot from the inside but still frozen or cold on the inside. Don’t reheat already cooked shrimp twice as it won’t taste great. Thus only reheat a portion of shrimp that you can eat or consume. Stick to the amount of time recommended in the techniques I shared. 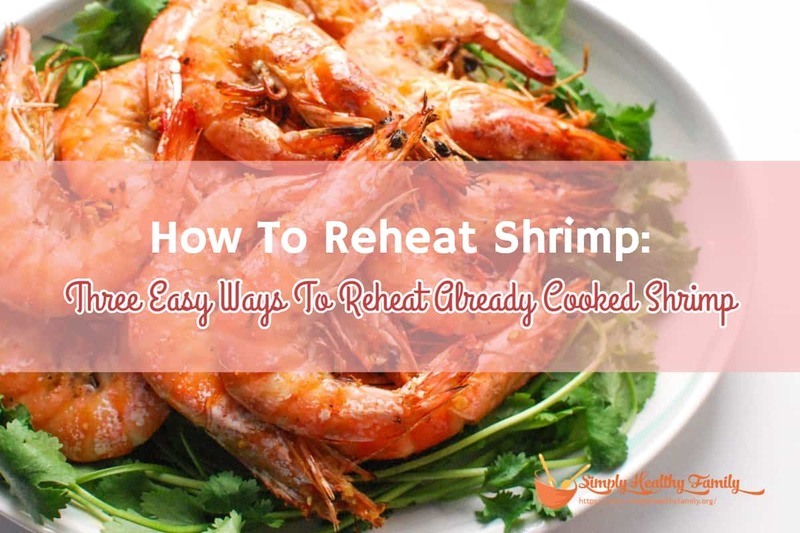 Reheating the shrimp for a longer time can dry them out. And I tell you, shrimp that isn’t juicy tastes bland. Before reheating shrimp, make sure that it isn’t rancid. The easiest way to tell that cooked shrimp has gone bad is by smelling it. If it has a bad smell, then you should discard it right away. Spoiled shrimp also has a very slimy texture. 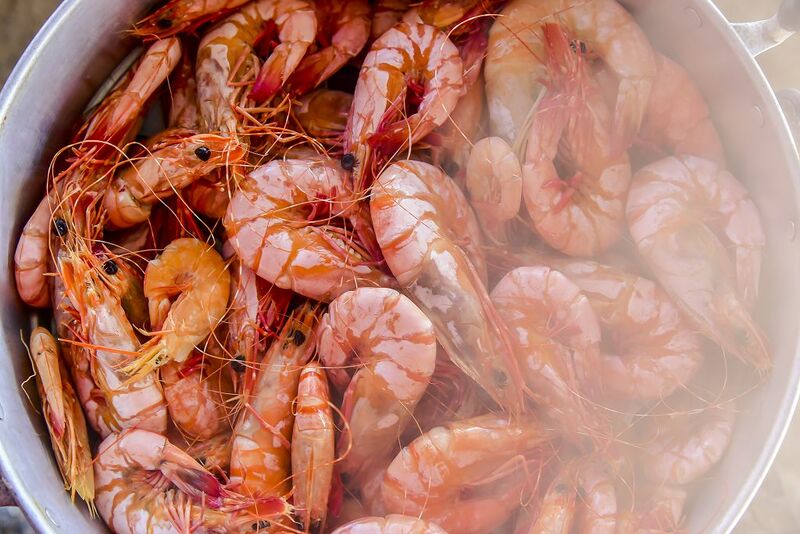 In order to increase the shelf life of cooked shrimp, place it in the refrigerator within two hours of cooking. It should be safe to consume up to four days after it was cooked. You can also freeze shrimp. This can extend the shelf life of the seafood indefinitely. However, I cannot guarantee that the taste and texture of the cooked shrimp will remain the same when you freeze it. As I have told you earlier, shrimp is easy to cook. And as you have learned after reading this article, it is also very easy to reheat cooked shrimp. Did you learn something from this article? If so, please share it with your friends. Let’s teach them how to reheat shrimp, too. LOVE PINTEREST? WE DO, TOO. Follow SimplyHealthyFamily on Pinterest and see what we're making, saving and taste-testing just for you. Plus, subscribe to the newsletter and get FREE access to our e-cookbook library! Simplyhealthyfamily.org is a participant in the Amazon Services LLC Associates Program, an affiliate advertising program designed to provide a means for sites to earn advertising fees by advertising and linking to Amazon.com. Additionally, Simplyhealthyfamily.org participates in various other affiliate programs, and we sometimes get a commission through purchases made through our links.